If you are looking to download Nepali MRP Passport application form, you are in right place. From here you can download Nepali MRP Passport application form and fill online Nepali MRP passport application form and submit. Ministry of Foreign Affairs, department of passport has facilities to all Nepalese to download MRP application form online at your home and submit it right away. For the convenience of the people, Ministry of Foreign Affairs, department of passport also launched a Mobile App to fill Nepali MRP Passport application form. This system makes the life even easier. 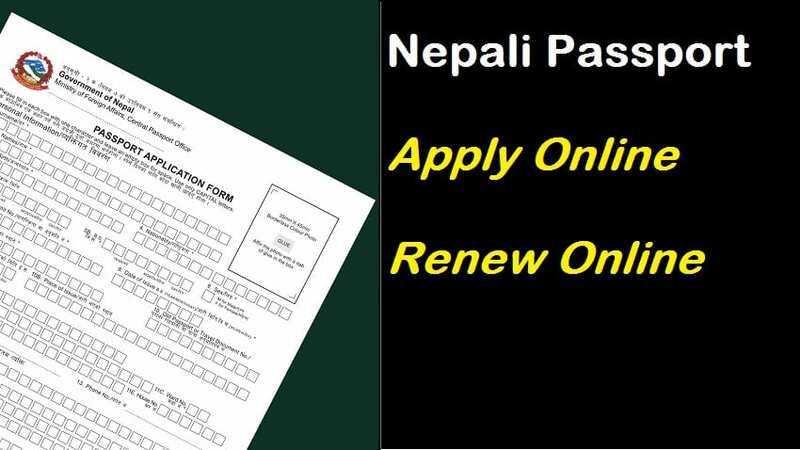 If you are not sure about how to fill Nepali MRP passport application form correctly, we highly recommended going through the steps to fill correctly MRP application form from the link given below. As we already mentioned you that, Ministry of Foreign Affairs, department of passport launched a Mobile App to Fill Nepali MRP Passport application form online through your mobile phone. This app is called “Mobile Apps Nepal Passport”. It is available in both android and ios version. A machine-readable passport (MRP) is a machine-readable travel document (MRTD) with the data on the identity page encoded in optical character recognition format. For those applicants who want to apply MRP in fast track service via Department of Passport, Narayanhiti, District Verification Letter of CDO Office from where the citizenship card is issued is mandatory. To apply MRP in normal service, applicants have to apply via CDO Office from where the citizenship card is issued, fees is Nrs.5000. If you are looking for more information about renewing Nepali MRP passport go through the link given below. Either you are in Nepal or if you are in foreign country right now, you can easily renew your Nepali MRP passport. If you already apply for Nepali MRP Passport, if you want to check your status go through the link given below.